Trikes are getting more and more popular. While some producers are introducing full suspended models, others are trying themselves in a new field of tilting trikes. 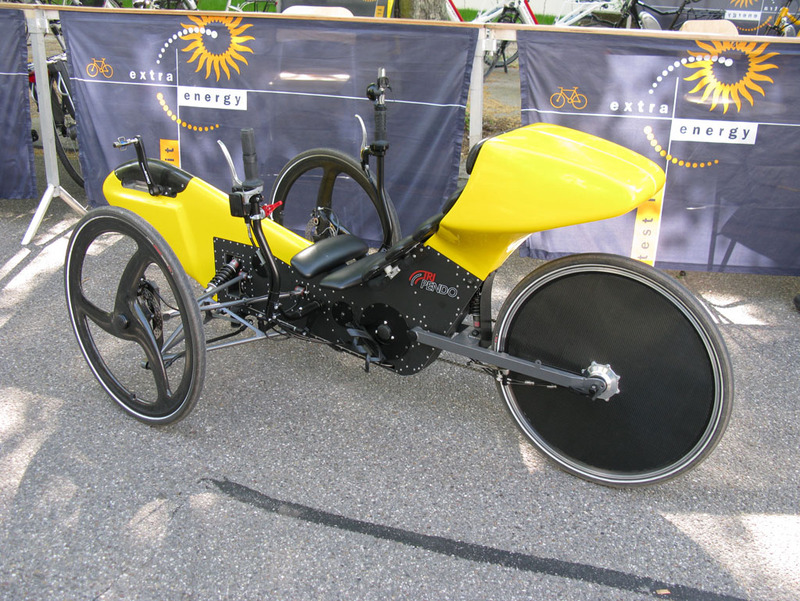 I personally do not see a lot of sense in that, especially when the construction of such a trike gets too complex and cycling with it requires practice to get it running. For me, a trike is a comfort machine. I own an ICE Qnt and I use it for trips and to enjoy in the surroundings around me. To have a comfortable seat with me all the time so I do not have to look for a bench under a tree, as every tree for me is a perfect spot to rest in a shadow. And complex systems are certainly not what you would want on a cycling trip. 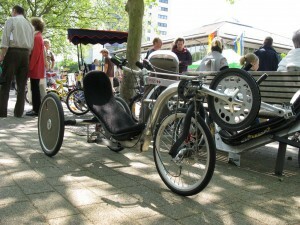 But if you want a trike also for fast riding, then a tilting version is of course welcome. But if I would decide for one, I want to feel free on it – same freedom I feel on a two wheeler, but safer because of an additional wheel. There is one tilting trike that actually made a step forward from last Spezi show. Tripod was this year presented on the Optima stand which certainly means better sale numbers. The design is also quite simple, which is positive, but I do not like the general idea of tilting, where the angle is related to steering position. Lets consider an older road where the side of the asphalt surface is sloped. With a normal trike your seat is always at the right angle to the road surface and in such a situation you do not sit vertically. While on a bicycle you are always vertical. 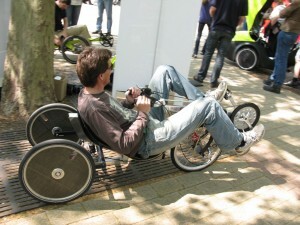 If the tilting angle is related to the steering, then you can not tilt and cycle in a straight line, so even though you have a tilting trike you can not adjust your position to sit vertically. Tripendo on the other hand allows separate control over tilting angle, but why would we need any complex mechanisms to do that, if we can control our tilting angle the same way as on a bicycle? I found a prototype made by Bram Smit that I really liked. 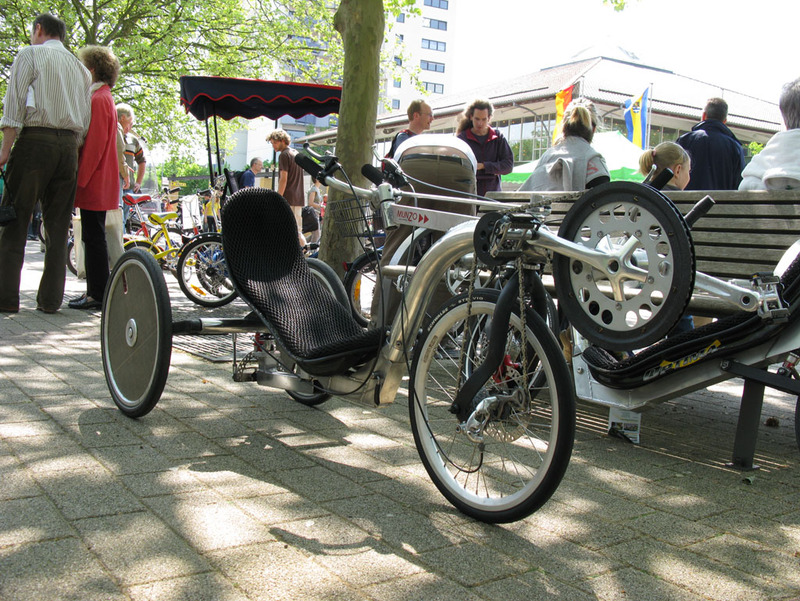 It is a tilting delta trike with two rear wheels and front wheel drive. Well, it is true that front wheel drive has weak points. 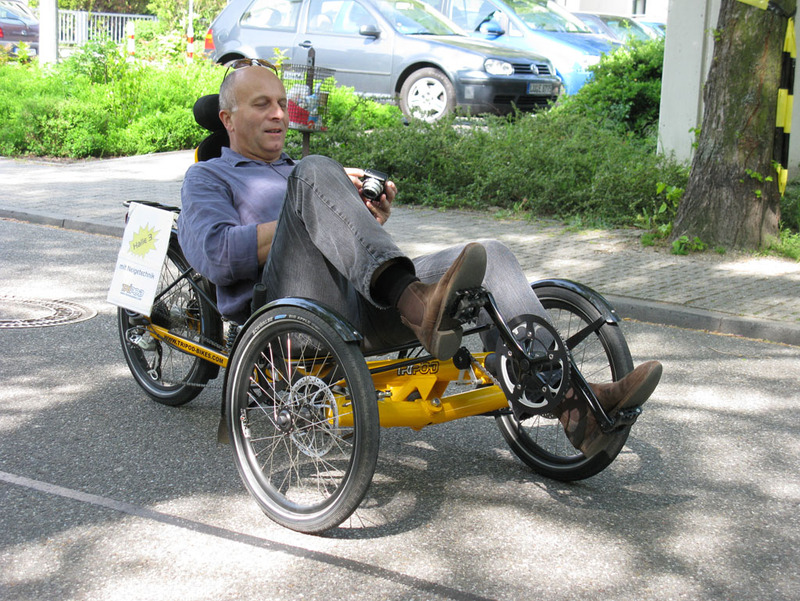 Especially when climbing hills, as there is no pressure on the front wheel and tyre will start slipping, but the way tilting on this prototype works, it gives you total freedom and exactly the same feeling as when you are on two wheels. When unlocked you actually cycle a bike and not a trike. curve needed and no complicated tilting angle mechanisms. 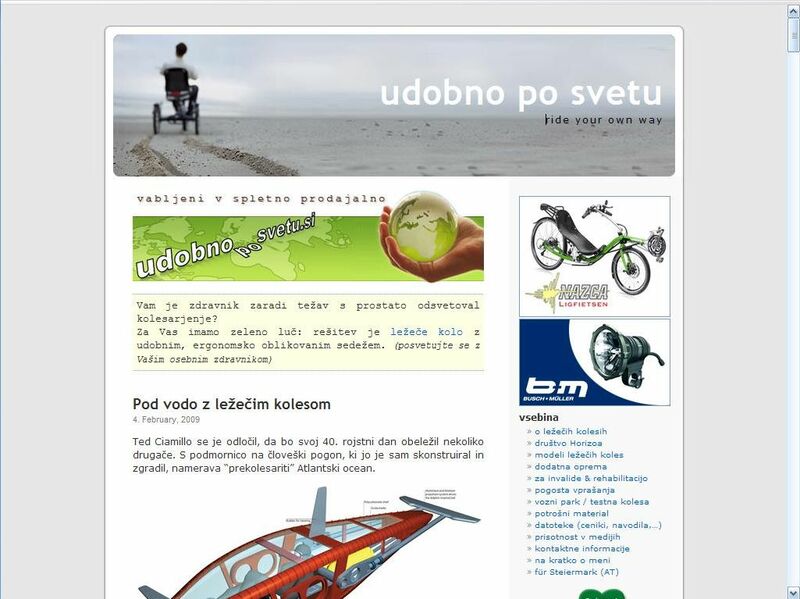 Recumbent dealers around the world 3.